Candi from ~~All Day Night~~ tagged me for a new meme that CityStreams had previously tagged me with and I never had time to do it. So girls here ya go! I am trying to come up with some new things that I did not use for the 8 Things About Moi version that I had done way back in October. 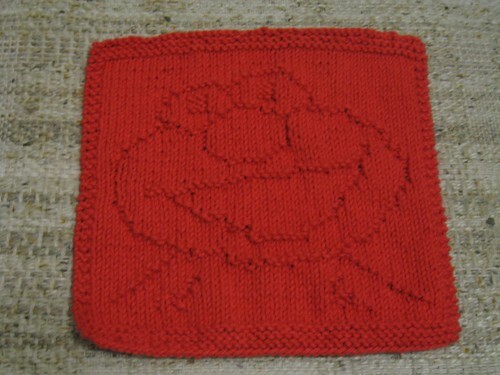 Here are some things about moi. . . .
1 – Suddenly I am quite the wash cloth knitting addict. I can not stop making the things. I think I like them because they are quick and easy to do and they do not cost an arm and a leg. One of these days I will branch out more into hats and mittens – not too interested in making socks (sorry Laura). 2 – When JL moved here to live with me (when we were engaged before our wedding) the deal was that I would keep a kosher kitchen for him. So no shellfish in this house and no yummy chicken parm making here *sigh* Thanks to this we have two sets of dishes (dairy and meat) and have to label watch to make sure things are kosher for consumption at Chez Moi! I will not even mention the Passover dishes which need to come out WAY too soon for my liking. 3 – I am very bummed about not being able to make it to my Cousin M’s wedding in a few short weeks. Back when Cousin D got married JL promised me that we would head west for M’s when she got married. Unfortunately things do not always work out as planned. So down the road we will plan a trip out to see Cousin M and B and check out all of the fun things by them. Disneyland anyone???? 4 – Shocking as it may seem I have NEVER seen a Harry Potter movie in the theater. All have been viewed at home on DVD. A pregnancy, birth or other random item has always messed up going out for the experience (we will not even factor in the price part). One of my students used to laugh at me over this fact and thought it was hilarious that I was reading one of the books when my water broke with NHL. 5 – My husband is screwed for Valentine’s Day. Keep your mind’s out of the gutter people! As I was saying, I do not like chocolate and I do not like to watch flowers die . . . talk about a waste of money in my mind. I love the fact that I still have the bouquet from my wedding and the flowers that were on my chuppah that I was married under. 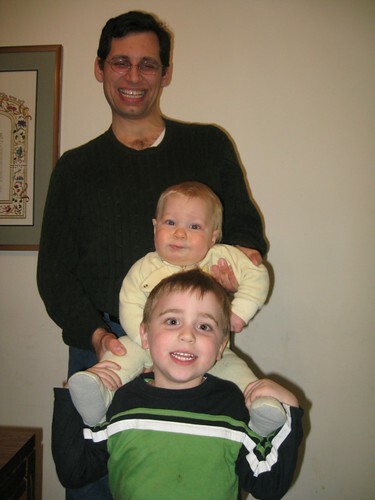 6 – I love having two boys. Although I will not be able to take a daughter to buy a wedding dress, there are some big perks. Daddy will need to take them both to the bathroom in a few years. There will be no need to buy them feminine hygiene products. Only one person in the house with PMS. Weddings will not cost us as much. Boy clothing seems to be a lot less expensive. Not a lot of jewels to make boys happy. Man I could go on and on! 7 – I am still debating what to do about next year. This is the season to put resumes out for teaching in the fall, but I do not know if it is the best thing for our family now. Right now the boys need me, so I am thinking and looking at other options that I can do while home with them. Feel free to do this or not do it and add yourself to this list too if I did not include you. Link to your facts on my comments to share with everyone if/when you do this meme. BTW – Since Easter is tomorrow for all of the people I am tagging I am not pestering you with a note about being tagged in your comments. You will see this here or the linky love that will show up. « Weekend Party Mini-Vacation – Part 3 The Party! That was fun to read! I especially liked #6 ;-)! 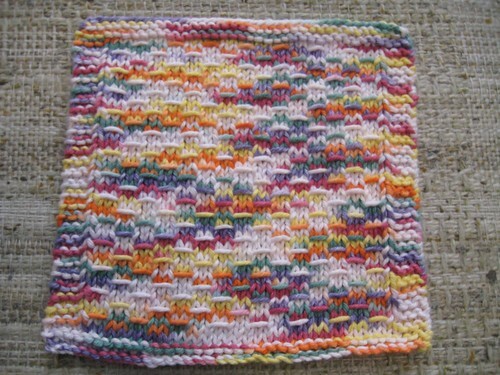 Oh—-forgot to say—those dishcloths are awesome!! Candi: Thanks! I thought you would like #6 :) Merci beaucoup for the compliments on the dishcloths as well. I love making them. 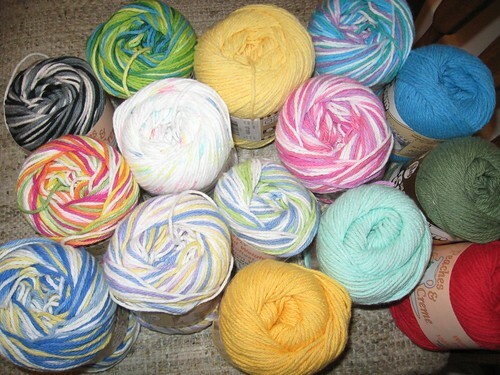 I am going to post soon about the knit along that I am making. I cannot knit to SAVE MY LIFE. Well, I definitely have to agree with #6 too! It certainly has it’s positives!! And little boys, they are SOOOO sweet! Thanks for giving me the link to read your 7 things! Angella: Hmmm. . . I think if your life depended on it you probably would figure something out. 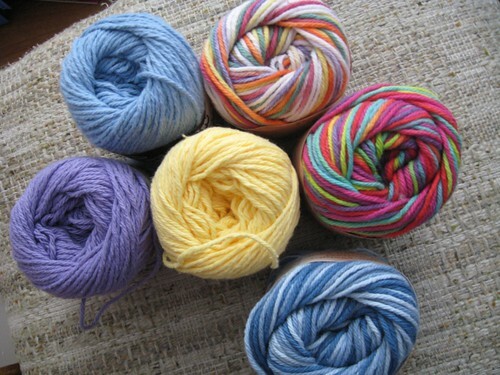 Whether it looked like knitting or not is another question ;) Thanks for the compliment. Elaine Yes, little boys are sweet! I taught all girls and realized how lucky I will be down the road in the teen years.